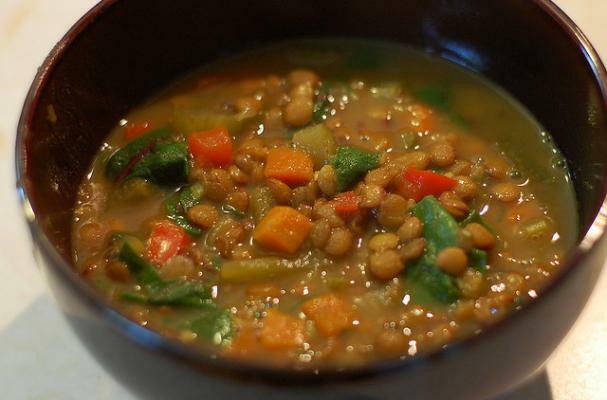 Lentils are an ideal ingredient for cooking on a budget. This versatile legume can be found in bulk at just about any health food store, and adds a nice dose of protein to any meal. Substitute ghee for canola oil and toss in your favorite leafy greens for a nourishing and simple meal. An uber simple curry which is delicious with wild rice, soba noodles, or quinoa. A simple and hearty dish. Serve with a side of your favorite summer veggies, and voila' you have a gourmet meal in about half an hour. This is not your typical chickpea spread!